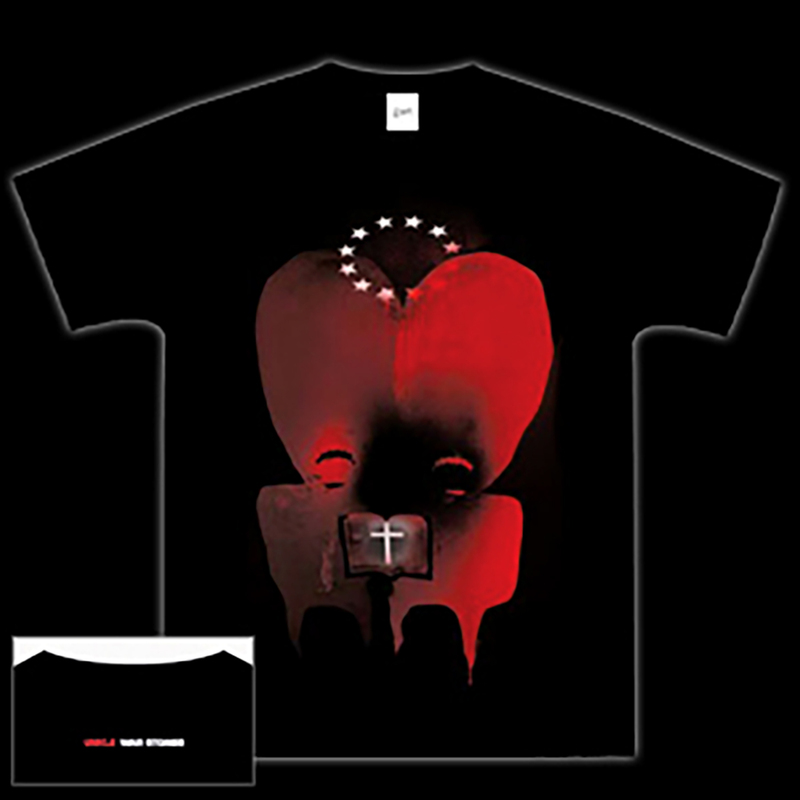 100% cotton fitted American Apparel t-shirt featuring artwork specially created by 3D of Massive Attack for “War Stories” on the front and “UNKLE War Stories” printed on the back. This shirt is super good. It's a super great design that has got me compliments. Thanks for bringing this shirt into my life.